Is NuVasive, Inc. (NUVA) a Good Stock To Buy? Legendary investors such as Leon Cooperman and Seth Klarman earn enormous amounts of money for themselves and their investors by doing in-depth research on small-cap stocks that big brokerage houses don’t publish. Small cap stocks -especially when they are screened well- can generate substantial outperformance versus a boring index fund. That’s why we analyze the activity of those elite funds in these small-cap stocks. 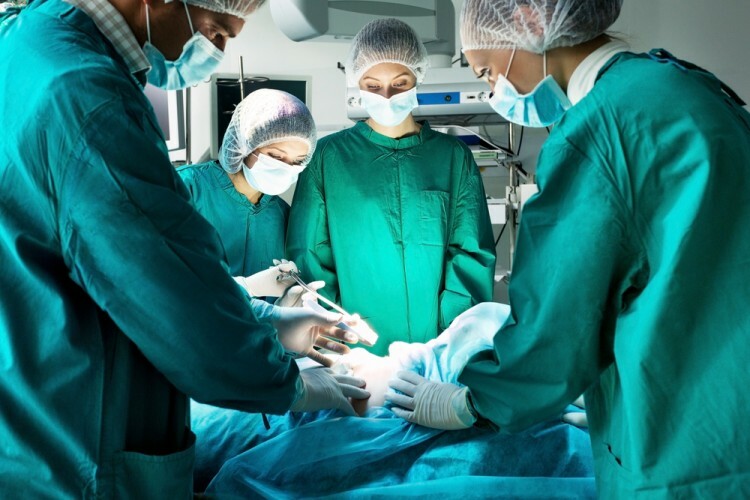 In the following paragraphs, we will analyze NuVasive, Inc. (NASDAQ:NUVA) from the perspective of those elite funds. So, is NuVasive, Inc. (NASDAQ:NUVA) a bargain? The smart money seems to be taking a bearish view, since the number of bullish hedge fund positions was trimmed by two in recent months. However, the level and the change in hedge fund popularity aren’t the only variables you need to analyze to decipher hedge funds’ perspectives. A stock may witness a boost in popularity, but it may still be less popular than similarly priced stocks. That’s why at the end of this article we will examine companies such as Two Harbors Investment Corp (NYSE:TWO), Black Stone Minerals LP (NYSE:BSM), and Integra Lifesciences Holdings Corp (NASDAQ:IART) to gather more data points. With all of this in mind, let’s take a look at the fresh action encompassing NuVasive, Inc. (NASDAQ:NUVA). 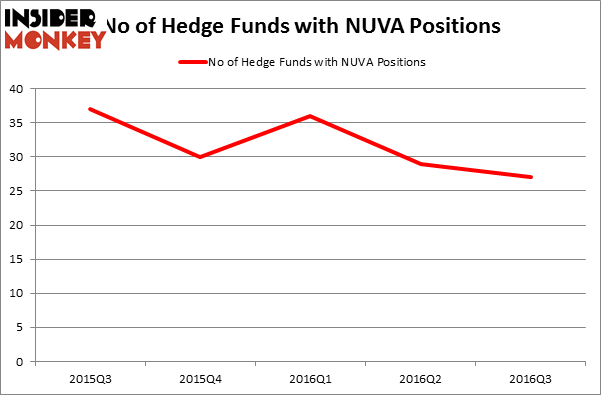 How are hedge funds trading NuVasive, Inc. (NASDAQ:NUVA)? At Q3’s end, 27 funds tracked by Insider Monkey held long positions in this stock, down by 7% over the quarter. With the smart money’s positions undergoing their usual ebb and flow, there exists an “upper tier” of noteworthy hedge fund managers who were boosting their stakes substantially (or already accumulated large positions). According to Insider Monkey’s hedge fund database, Ken Fisher’s Fisher Asset Management has the largest position in NuVasive, Inc. (NASDAQ:NUVA), worth close to $94.8 million, accounting for 0.2% of its total 13F portfolio. The second most bullish fund manager is Columbus Circle Investors, managed by Principal Global Investors, which holds a $49.1 million position; the fund has 0.5% of its 13F portfolio invested in the stock. Remaining members of the smart money with similar optimism contain Anand Parekh’s Alyeska Investment Group, Ken Griffin’s Citadel Investment Group, and Nick Niell’s Arrowgrass Capital Partners.